My checkpoint system alarm activates for no apparent reason. Any changes near the checkpoint system’s antennas can cause the alarm to activate. Have there been any electrical wiring changes throughout the store? Has a new electrical outlet been installed close to the system? Where there any significant additions or changes to a closed-circuit television system? Is your door in good condition or are the door handles rattling? All these things can be the cause of “phantom alarms”. Merchandise tags or labels in close proximity to the system can cause the alarm to sound. Look at your merchandise displays. Have you moved a display too close to the system? Are there manikins in the area with garments containing a hard tag? Look around the base of the checkpoint system. Has a tag or a label been swept up next to the system or on to it? Any of these can cause an alarm. It is always best to keep any tag or label merchandise at least 4 feet away from any of the checkpoint system antennas. LPSI (Loss Prevention Systems) is a top national dealer in the United States regarding Checkpoint Solutions and Alpha High Theft Solutions. We have countrywide customers, supplies, as well as services. LPSI delivers much more than shoplifting prevention equipment; our knowledge of Retail Theft Prevention allows LPSI to supply real world guidance on theft prevention and anti-theft systems. 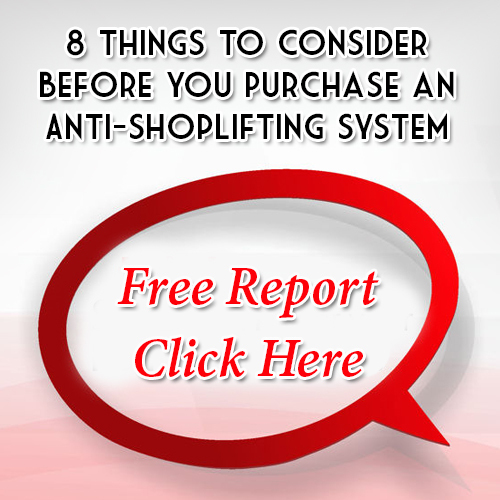 STOP retail theft today with Lost Prevention and Checkpoint Systems. For additional information on Checkpoint Systems, contact visit our website at http://www.LossPreventionSystems.com or call us at 1(866) 914-2567 today.